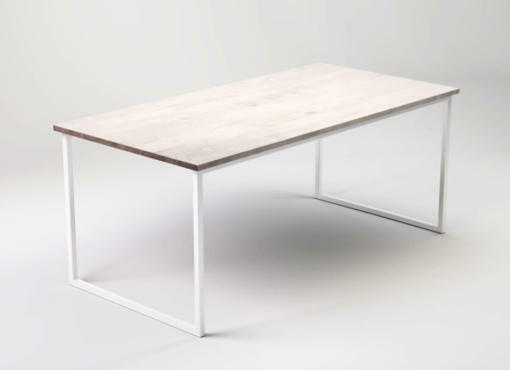 KVADRAT WHITE is a square kitchen table with a bleached wooden top. 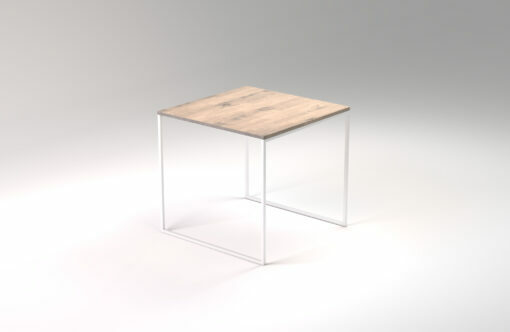 The table base is a white metal frame with straight lines and lightweight construction. 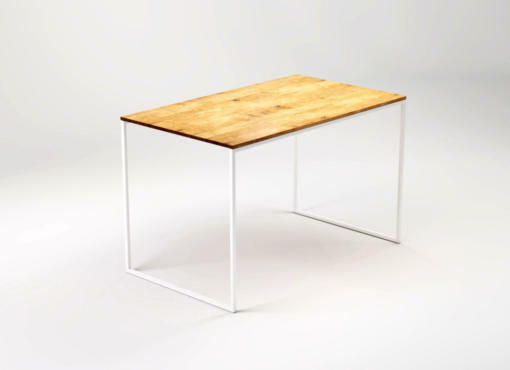 The table is handcrafted using natural materials and traditional woodworking. Natural oak wood features beautiful grain and interesting colour variations (bright or dark lines running along the top). Wood finish and bleaching only highlight the natural aesthetic qualities of the material, extracting a whole range of deep shades and natural texture. The pure white steel base of the table nicely harmonises with bleached wood. This colour palette and minimalist form is inspired by contemporary Scandinavian style. It is no accident that the beauty and simplicity of the Scandinavian furniture design are now extremely popular in modern interiors. The design is simply stunning. The KVADRAT WHITE table is optimally suited for 2 people, but there is enough space for 4 people if needed. 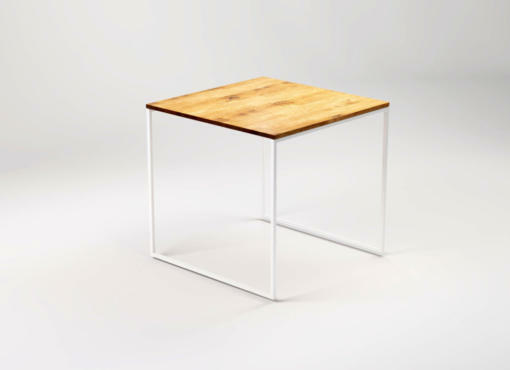 The table is small and, thus, can be used in small living spaces, like small kitchens and kitchenettes. But it also suits the spacious open interiors. 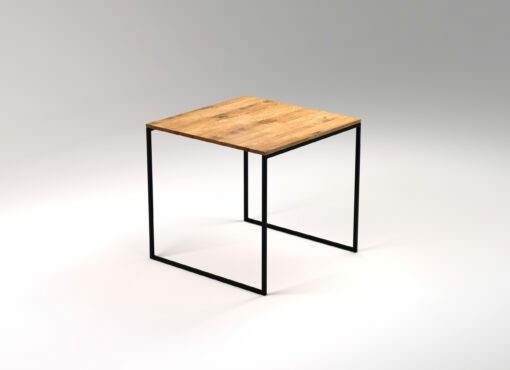 Its elegant simplicity looks beautiful both individually at home or grouped in cafes and restaurants. Thanks to its geometric shape and lightweight design, it can be easily arranged into various configurations for useful layouts.